Modern House on the Webb Estate, Purley. 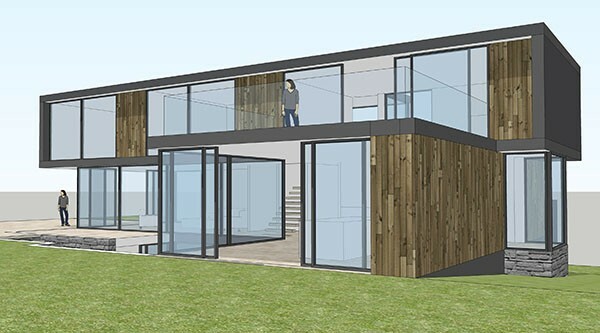 4D Studio architect and interior designer have prepared these designs for a stunning sustainable 600 square meter new-build house on the Webb Estate in Purley. 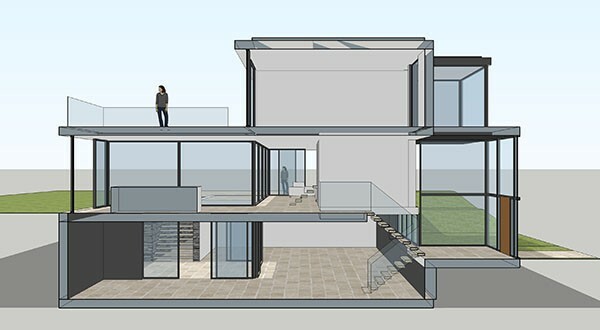 The bespoke dwelling comprises a spacious, contemporary family home of exceptional architectural design quality in harmony within this unique estate. 4D Studio architect and interior designer have designed the house, over 3 floors comprising basement ground and first floor with a mix of large, dramatic spaces for impressive arrival and entertaining, as well as a number of smaller more intimate and contained spaces for everyday family use. The principal ground floor rooms link to 3.6m-high south-facing doors, which open completely onto outdoor terraces that in turn link to the beautiful established landscaped garden. The low energy design utilises Cross laminated timber (CLT) sourced from sustainable forests to achieve an air and wind tight structure that targets passive house energy standards. 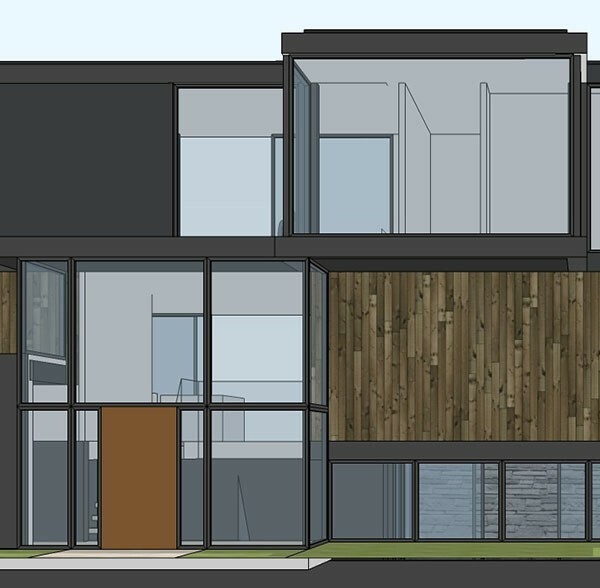 Working to the client brief to locate a high quality architectural design in the estate 4D Studio have conceived a modern dwelling in the mid twentieth century tradition while avoiding a cubist white box design. 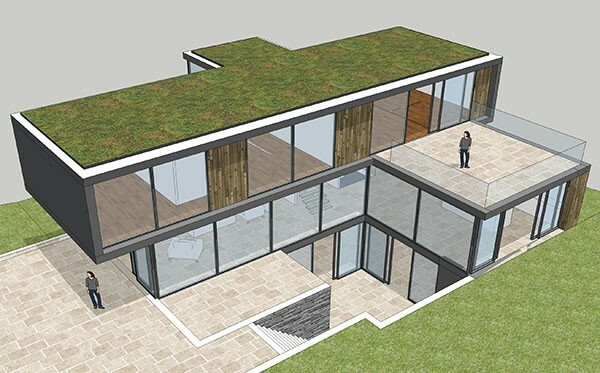 To achieve this our architects and interior designers have designed the external walls of the building so that they are clad in a combination of green Northumberland slate and locally sourced English oak. The history of the Webb Estate is fascinating. Development of the began in 1888 when visionary William Webb embarked on the creation of a Garden Village in the suburbs. It catered for people who worked in the City and for thirty years William Webb worked successfully to create a village in which buildings, gardens and the roads were designed to the highest standards. The majority of development took place between 1901 and 1912 and Webb’s house, Upper Woodcote House, was completed in 1903. At the time, Purley was a small village on the outskirts of London. Webb established a regular bus service to serve the village and was also involved in the building of St Mark’s Church in Purley. The plots were laid out with perimeter soft planting and trees were planted to reinforce this strategy. Each road serves a variety of dwellings that are different in character and size and most have been modernised and extended. Some properties have been completely rebuilt. 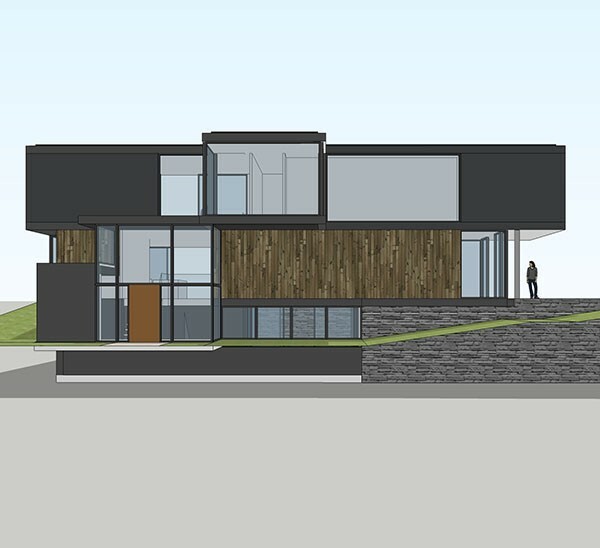 Nowhere within the estate has a 20th century modern style dwelling yet been constructed and 4D Studio have been asked to prepare the designs for what will be the first iconic dwelling house in this style on the estate.